Drive-in week continues. Today, I’d like to give you several great reasons why you should go to the drive-in. Odds are good that if you’re over the age of 30, you went to a drive-in movie as a child. If you’re quite a bit over 30, then you probably went to the drive-in frequently as a child. It’s a way to reconnect with your past, and your parents’ past, and your grandparents’ past. Speaking of nostalgia, surely you want your children, your nieces and nephews, and your grandchildren to experience the same fun you did as a child. It’s a great way to keep the tradition alive, and to give the next generation a really unique experience. Drive-in theater pricing is almost always cheaper than a traditional theater, meaning you can entertain an entire family for considerably less than you would elsewhere. Part of the reason that drive-in pricing is so much better is that you can get two movies for the price of one. For instance, my local drive-in (Skyview in Belleville, Illinois) actively encourages people to take in both films. The result is a full evening of entertainment. The absolute worst part of summer is when it’s 100 degrees in the middle of the day, with the sweltering sun beating down. But at night, everything cools off and you can enjoy the relaxed nighttime temps. 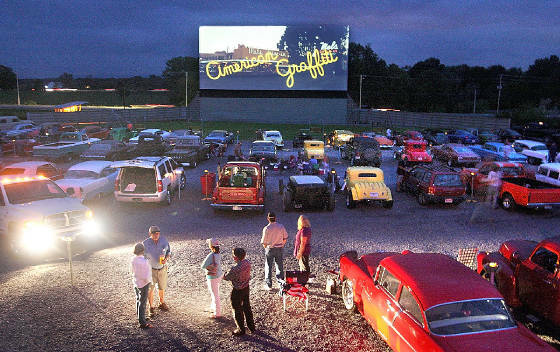 It’s a great time to get outside and a drive-in provides the perfect opportunity. If you go to the movies with others, it’s awfully tempting to talk to one another, even in a whisper. Whether you’re the talker or someone sitting around a talker, it creates an awkward experience. At the drive-in, that will never be an issue because you’re secluded, enjoying the movie in your own little world, as luxurious as you’d like it to be. When you go to the drive-in, it’s a welcome opportunity to bring along friends and other families, or see those friends and other families at the drive-in. There are usually playgrounds to keep the youngsters engaged. It’s a summer event that encourages sociability. Throw in some fun concessions items, a good movie (or even a fun bad one) and you’ve got memories for a very long time. I really need to go to the Skyview more often. I’m looking forward to taking my daughters there when they get a bit older too. We used to go to Ronnies Drive-in (they had one then) and the 66 Drive-in (on Watson Road near where Crestwood Mall was) when I was a kid. They both were gone when I was pretty young, though. I wish I had seen Ronnies in that heyday. I love that they tip their cap to that era even now, with the car-shaped tables in the restaurant area. I think that I missed the real heyday and just caught the end when I was a kid. For a while before it re-opened as the crazy place it is today, Ronnie’s was just a run-down eight-screen theater. I do think that I saw E.T. and The Empire Strikes Back there when I was like five or six. I kind of assume that Ronnie’s is the reason the Kenrick went out of business. Not sure if you’ve seen it lately but they’ve torn down that whole area and are building… something. I’d love it if it was a theater, but I’m very doubtful. -A stupid Wal-Mart is going up in the Kenrick Plaza section. -Wehrenberg is planning another 9-screen theater in the Watson/Shrewsbury area. I’m not sure how I feel about that. On one hand, I’m thrilled to have a closer theater. On the other hand, I’ve kind of become a Ronnie’s guy from my spot in south city. I live in Shrewsbury, so the Wal-Mart at Kenrick has been a big issue. It’s definitely not a thrilling idea for me. I wasn’t aware about the new theater, though. I’m happy to hear that news. I went to Kenrick a lot as a kid, so it was sad to see it close and now be demolished. It was a pretty standard eight-screen theater, but it seemed pretty modern when it opened. That’s a great article, Rich. Thanks for sharing. We go all the time. The kids love it. 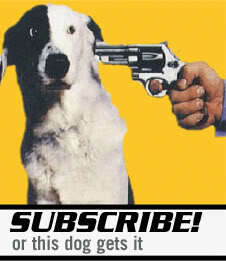 The dog loves it. Our favorite is the Stardust in Watertown, TN. It is about 25 minutes from Nashville. That’s funny. That’s twice that I’ve gotten mentions of the Watertown drive-in this week. It must be a heck of a place to see a movie. Interesting post! I’ve ever actually been to a drive in. I’m not 100% sure if I’d enjoy sitting in my car to watch a movie, but you bring up a good point about talking to someone. I think I’d like to see a campy horror movie or a Grindhouse type flick at the drive in. Those would be interesting. My first time was with The Bad News Bears- the Billy Bob version. It worked great because it made a mediocre/bad movie a much more enjoyable experience. And you can stretch out if your car is big enough. I had Grand Cherokee at the time, so I opened up the back gate, cleared everything out of the back, and sat with my legs extended. I find it absolutely astonishing that more people to not take advantage of the drive-in in my town. There are only two thriving drive-ins, and they’re almost never at full capacity… What’s not to love? We often have triple-features at the drive-in I frequent, and you get to sit under the stars. It’s sad, but lucky you, you still have 2 drive-ins in your city. If you will ever visit Romania, you will find out that we don’t have any drive-ins in the entire country! My fiance and I represent the “under 30” age category and we love going to the drive-in. The prices are more than reasonable for a double feature, the food is better than you’d find anywhere else in the price range, and we save even more by not having to hire a babysitter when we want a date night. That’s awesome, Mike. It’s like a testimonial for drive-ins. So glad there are so many others out there who love and appreciate the Drive-In! My first experience at a drive in was a double feature of Saving Private Ryan and Armageddon. Since then, I have been hooked. I’ve written about my love for them previously. Perhaps this article might help you to spread the love for the experience even further. 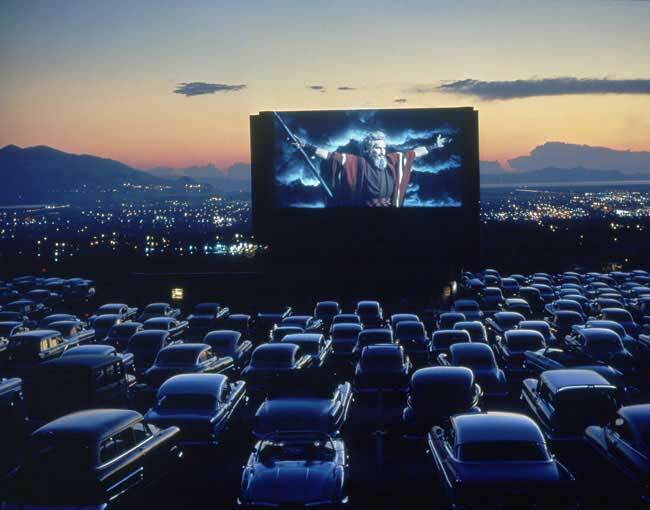 As I’m from Ireland I’ve sadly never had the chance to go to a drive-in movie. Even now living in London I don’t know of any. I would love to see what they’re like compared to the regular cinema experience. One thing that does seem to have grown in the recent years over here is outdoor pop-up screenings. It’s not the same thing but it may be the closest I can get.